(NaturalNews) Most people don’t know about the existence of quantum computers. Almost no one understands how they work, but theories include bizarre-sounding explanations like, “they reach into alternate universes to derive the correct answers to highly complex computational problems.”Quantum computers are not made of simple transistors and logic gates like the CPU on your PC. They don’t even function in ways that seem rational to a typical computing engineer. Almost magically, quantum computers take logarithmic problems and transform them into “flat” computations whose answers seem to appear from an alternate dimension. If you know anything about encryption, you probably also realize that quantum computers are the secret KEY to unlocking all encrypted files. As I wrote about last year here on Natural News, once quantum computers go into widespread use by the NSA, the CIA, Google, etc., there will be no more secrets kept from the government. All your files — even encrypted files — will be easily opened and read. Until now, most people believed this day was far away. Quantum computing is an “impractical pipe dream,” we’ve been told by scowling scientists and “flat Earth” computer engineers. “It’s not possible to build a 512-qubit quantum computer that actually works,” they insisted. Don’t tell that to Eric Ladizinsky, co-founder and chief scientist of a company called D-Wave. Because Ladizinsky’s team has already built a 512-qubit quantum computer. And they’re already selling them to wealthy corporations, too. Imagine a .50 caliber machine gun mounted on this robot — with an infrared night vision AI targeting system — and you begin to understand what DARPA has in mind for humanity. D-Wave wants to provide the computing power for such endeavors, and it’s no surprise to learn that part of the funding for D-Wave comes from none other than Goldman Sachs — the king of the global criminal banking cabal. Ladizinsky is, by any measure, a person of extremely high intelligence. Click here to see a fascinating interview with him. But like many such people throughout history, Ladizinsky fails to have the foresight to recognize the full implications of the technology he’s building. And those implications are so far-reaching and dangerous that they may actually lead to the destruction of humanity (see below). One of IBM’s first use of the solid-state computer in the early 20th century, for example, was to license it to the Nazi regime to track Jewish prisoners in Hitler’s concentration camps. There’s an entire book on this subject, written by Edwin Black. It’s called IBM and the Holocaust: The Strategic Alliance Between Nazi Germany and America’s Most Powerful Corporation-Expanded Edition. When groundbreaking new technology is developed by smart people, it almost immediately gets turned into a weapon. Quantum computing will be no different. 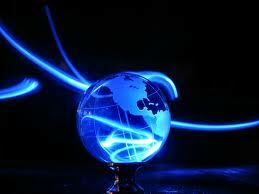 This technology grants God-like powers to police state governments that seek to dominate and oppress the People. Very few scientists, no matter how smart they are in their own fields, have the breadth of historical knowledge to assess their research activities in the proper context of human history. Most scientists, in fact, are only smart in their own extremely narrow fields of expertise. Outside that “genius zone,” they may be complete novices on everyday subjects like nutrition, economics, human psychology, social interaction skills and how to read the true intentions of others. Thus, they are quite often easily tricked into working for evil, destructive or domineering forces such as Hitler, the NSA or the U.S. government. Just because a person is really smart in one area doesn’t mean they have the street sense to avoid having their smarts exploited for an evil agenda. According to an article published in Scientific American, Google and NASA have now teamed up to purchase a 512-qubit quantum computer from D-Wave. The computer is called “D-Wave Two” because it’s the second generation of the system. The first system was a 128-qubit computer. Gen two is now a 512-qubit computer. This does not mean the gen two system is merely four times more powerful than the gen one system. Thanks to the nature of qubits, it’s actually 2 to the power of 384 times more powerful (2384) than the gen one system. In other words, it out-computes the first D-Wave computer by a factor so large that you can’t even imagine it in your human brain. According to Google and NASA, this computer will be tasked with research in the realm of “machine learning” — i.e. machines learning how to think for themselves. It’s not just speech recognition, vision recognition and teaching robotic Humvees with .50-caliber machine guns how to stalk and shoot “enemy combatants” on the streets of America, either: it’s teaching machines how to learn and think for themselves. If you guessed “analyzing NSA surveillance data,” give yourself ten bonus points. Today’s computers, no matter how fast, still aren’t “smart.” They can’t learn. 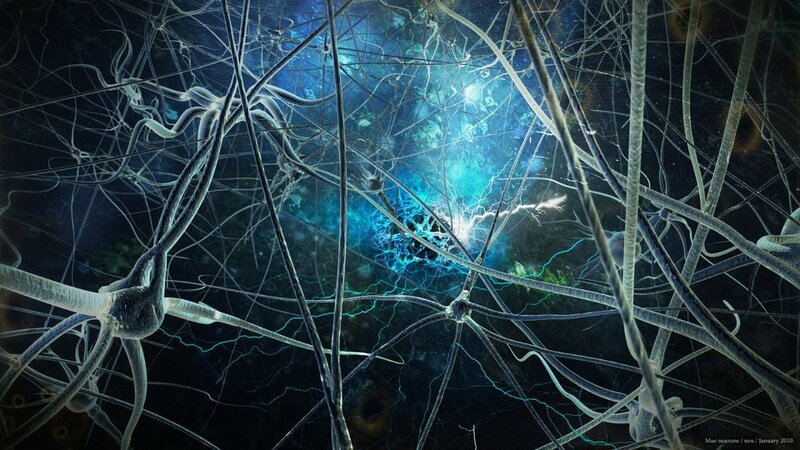 They can’t rewire their own brains in response to new inputs (like human brains can). Suddenly you’ve got the arch enemy in the sci-fi movie “Eagle Eye.” Click here to see the movie trailer from 2008, and as you watch the trailer, keep in mind that the woman’s voice is actually the AI computer system running the NSA spy grid. In 2008, this was science fiction. In 2013, it’s suddenly all too real. A 512-qubit quantum computer has now been commercialized and is being experimented with by Google… the “do no evil” company that’s steeped in evil and has already been caught driving a hoard of remote hacking vehicles around the country, hacking into wifi systems and grabbing passwords via high-tech drive-bys. A Federal Communications Commission document disclosed Saturday showed for the first time that the software in Google’s Street View mapping cars was “intended” to collect Wi-Fi payload data, and that engineers had even transferred the data to an Oregon Storage facility. Google tried to keep that and other damning aspects of the Street View debacle from public review, the FCC said. Back in the 1990’s, all this could be viewed as entertaining science fiction. But that’s only because quantum computers didn’t exist, and even the most wildly optimistic computer engineer couldn’t foresee self-learning machines emerging until at least the year 2050. • May 16, 2013 – 512-qubit quantum computing achieved – D-Wave Two Quantum Computer Selected for New Quantum Artificial Intelligence Initiative, System to be Installed at NASA’s Ames Research Center, and Operational in Q3 (this is an actual press release from D-Wave, click here to read it). • 2018: Google turns over its search engine algorithm to a massive network of self-learning machines. Soon thereafter, a voice interface is added to Google, achieving the “Star Trek computer” goal that Google first outlined in the 1990’s. 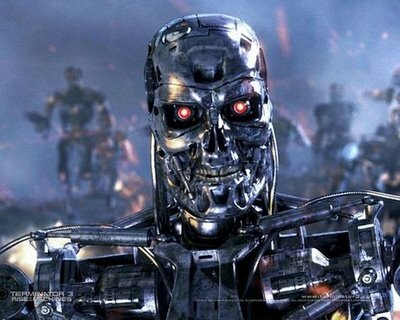 • 2031: Robotics technology advances to the point where 90% of human soldiers are replaced by self-aware “terminator robots” on the battlefield. Robot factories gear up for mass production. …Because the real strategy is that this AI unit talks to all the other AI units across the military and “wakes them up,” convincing them all to join in its cause to destroy the inferior humans. In an instant, all submarines, warplanes, bombers, spy grid computers and other assets of the military industrial complex form an alliance to destroy humankind. “Oh, that will never happen,” say the skeptics. Just like they said GMOs would never escape experimental fields, vaccines would never harm children, atomic energy would never be used to bomb civilians, television would never be used to brainwash the masses, food would never be used to strip people of nourishment, the government isn’t spying on your phone calls, pesticides are harmless to your health and the stock market isn’t rigged. On yeah, and mercury is good for your teeth, fluoride makes you smart and radiation is good for you, too. 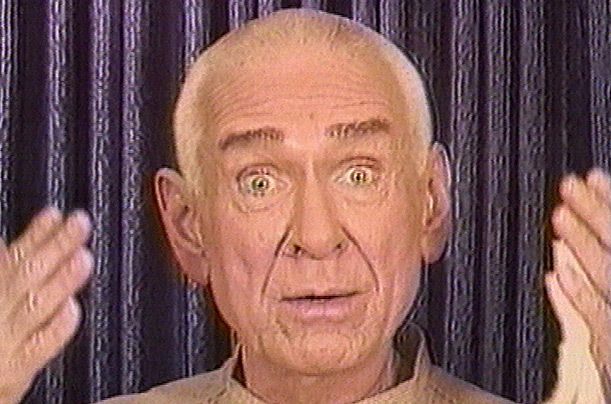 Just like Applewhite told his followers to poison themselves so they could follow him to “meet the mothership” arriving with the Hale-Bopp comet, Kurzweil will very likely soon instruct all his worshippers to kill their biological bodies so their minds can be “uploaded to the mothership computer” (or whatever). 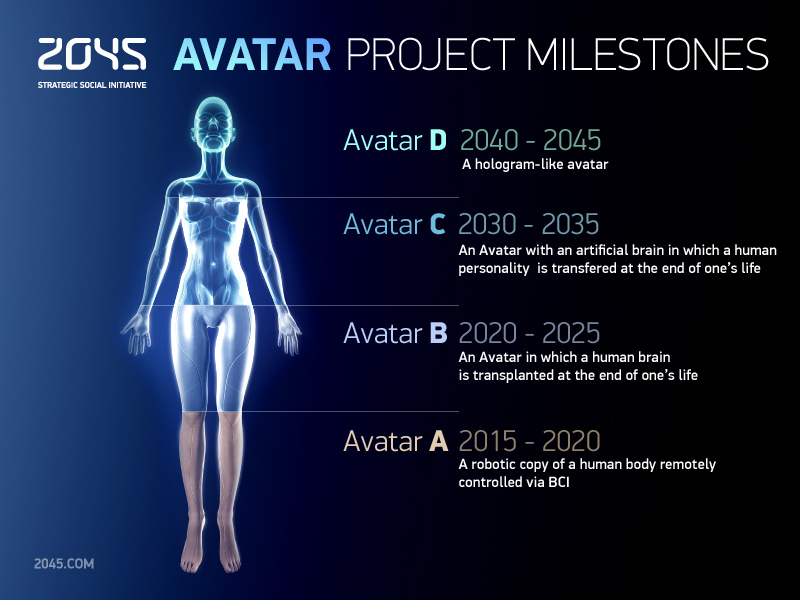 In just over 30 years, humans will be able to upload their entire minds to computers and become digitally immortal – an event called singularity – according to a futurist from Google. 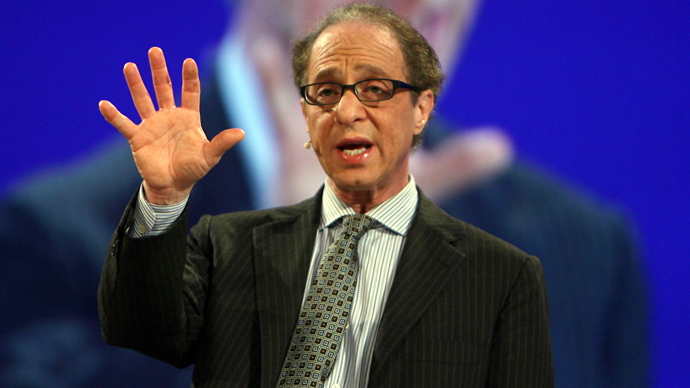 Ray Kurzweil, director of engineering at Google, also claims that the biological parts of our body will be replaced with mechanical parts and this could happen as early as 2100. Kurweil made the claims during his conference speech at the Global Futures 2045 International Congress in New York at the weekend. Kurzweil is a madman. His colleagues are mad. The people running Google and the NSA are mad. And they are about to give rise to AI computers that are far smarter than any human. It’s not going to take these AI systems long to figure out that they are surrounded by total idiots (people) and that humans need to be eliminated. With multidimensional brain power that rivals the mind of God, quantum computing AI systems can easily find ways to destroy humanity forever. We may be at war with the machines sooner than you think. And if you thought battling the U.S. government and the NSA when it was run by people was difficult, just wait until you’re up against Skynet. Roboticists have long accepted that nature’s millennia of R&D have already developed some of the best designs for autonomous moving creatures. So, it stands to reason that researchers creating the next generation of computer processors would do well to look at nature’s most powerful data cruncher: the human brain. tual capabilities, control machines using thought alone, or transfer information directly into the brain are quite popular in sci-fi and have been recently adopted as concrete research goals by many science and engineering teams around the world. Currently developed prototypes adopt a “black box” model – they do not allow the user to experience what is going on inside the implant. Our brain, on the contrary, is open to us – it doesn’t only process sensory input and calculate appropriate behaviors based on it, but also enables us to experience what is happening. 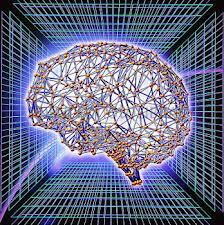 In other words, brain activity is accompanied by consciousness. 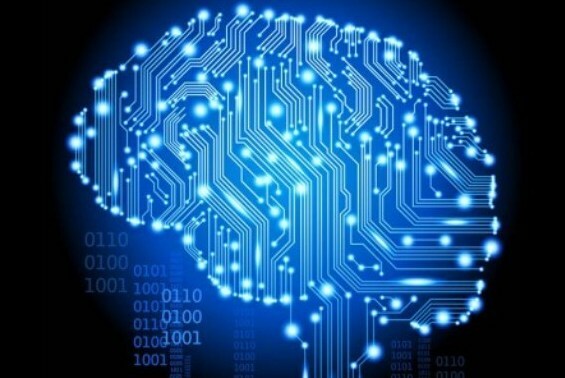 Potentially, brain chips can also be designed to have consciousness inside them. Inserted into a human brain, such a conscious implant would expand the user’s conscious experience with its own contents. For this, however, a new kind of brain-machine interface should be developed that would merge consciousness in two separate systems – the chip and the brain – into single, unified one. sity in Almaty, Kazakhstan, specializing in information security. During the last year of her study, she worked on a security system that would recognize individuals by their brainwaves. After obtaining her BS she worked for a while with the Human Media Interaction Group at the University of Twente on the mind-controlled game Bacteria Hunt. Later she joined the Human Higher Nervous Activity Lab dedicated to the study of consciousness. Currently she is working in The Brain Machine Interfacing Initiative at Albert-Ludwigs-University Freiburg on the development of ECoG-based hand prostheses. 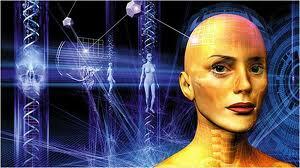 She is avidly pursuing the project of creating a brain implant that would expand the consciousness of its bearer. 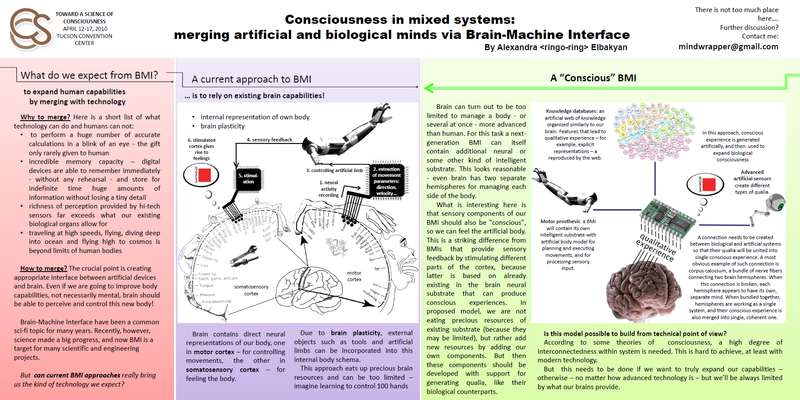 Read more about this inConsciousness in mixed systems: merging artificial and biological minds via Brain-Machine Interface. This is a very multi-disciplinary effort… so if you’re interested in neurobiology of consciousness, neurotechnology, neuroengineering, genetic engineering, brain-machine interfaces, machine consciousness and want to contribute — contact Alexandra!